It's time for another fun project in collaboartion with our incredibly talented friends over at Classic Play. 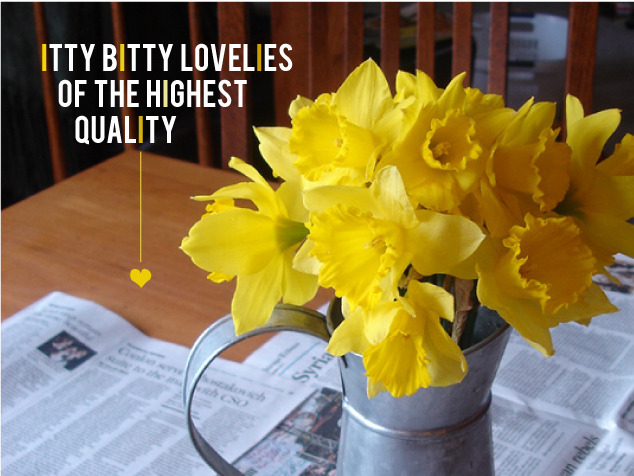 Today we're making paper daffodils with the kids for some pretty fantastical results. This wreath is so simple to make from supplies you have around your house. Grab some paper (we used misprinted letterhead) in white and yellow, cotton swabs, food coloring, and some scissors. 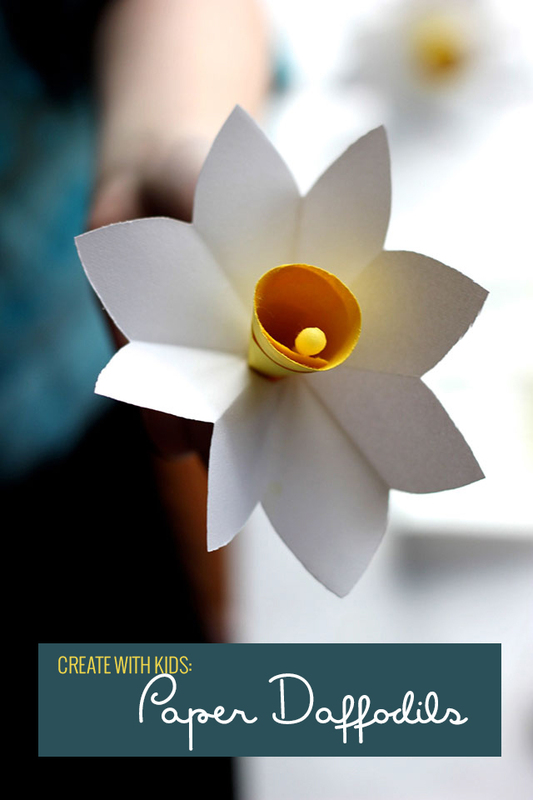 Bring your children into the process and let them feel the sense of accomplishment form their paper flowers. We decided to dye our cotton swabs yellow using diluted yellow food coloring first. First, trim off one swabbed end, and dip and dunk them into the yellow dye. This step is not necessary (you can paint or color these with a permanent marker), but the process itslef added to the fun. My son, 4, became our specialist in creating the centers of the flowers. We dunked ours a few rounds for fun. Take those out of the dye and place them to the side while you craft the petals. The process for creating these paper flowers is super similar to that of folding a paper snowflake. 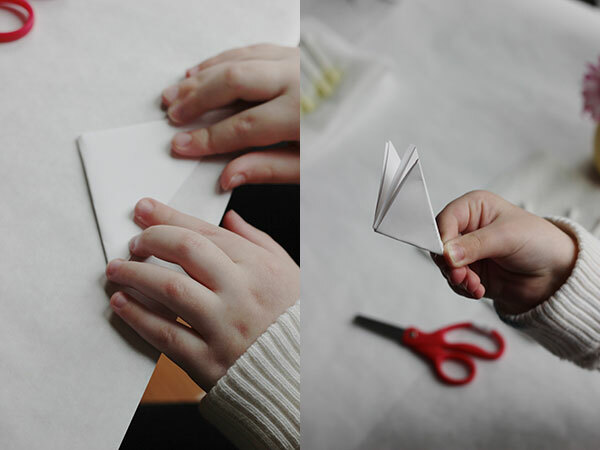 You want to create from a square piece of paper so fold over a right triangle and trim the excess to form. You'll work from a square piece of paper (so from the first image, trim off the extra paper at the bottom.) Fold the large triangle in half. And then fold it in half again. Your triangle should look something like the one on the right below. Hold it with the end that is connected to the main fold. Next cut out your petal shape, making sure to only cut along the two open sides. You'll cut a C curve along the top of the triangle. Creativity is encouraged here; some of our daffodils had pointed petals and some very round ones. Unfold your flower to discover! Next up, create inner yellow circle. Shape it into a cone and secure with glue or tape. Using a sharp pencil or the colored cotton swabs, poke a small hole in the center of your white flower. Push the cone tip through the hole in the white flower and insert the yellow swab into the center of the yellow cone. Secure all the flower parts together with invisible tape around the stick (and behind the petals) of the cotton swab. We decided that with all these “fresh” flowers we needed to make something bigger. With the help of a simple styrofoam wreath, we pushed the blunt end of each swab into the circle form. With the handiwork of my children, we were able to fill about half of the wreath, and I wanted a really full final product so I kept on creating for an hour after they lost interest. These everlasting flowers are charming on their own or strung as a banner. And this process was just as fun as the finished wreath. We're all very proud of our new door decoaration.